The conflict over the Bennett Law of 1889 reveals the social forces acting on Milwaukee’s schools in the late-nineteenth century. Immigrant culture, nativism, and the push for “Americanization” were all at issue in this contest over the instructional language to be used in education. The roots of the Bennett Law lie in a speech by Governor William Dempster Hoard to the Wisconsin legislature in January 1889. His pronouncement that children, as citizens, should be taught to read and write in the national language came at a time when the role of schooling in an industrial age was being reexamined. His recommendation that the state strengthen the existing education law of 1879 resulted in legislation known for its author, Republican Assemblyman Michael John Bennett, a ROMAN CATHOLIC. The statute, passed in April 1889, required children aged seven to fourteen to attend school for twelve to twenty-four weeks per year within their district of residence. To help instill American values, the new law mandated that reading, writing, arithmetic, and U.S. history be taught in English. The language component of the Bennett Law caused a strong reaction among the large immigrant population of Milwaukee, particularly GERMAN Catholics and LUTHERANS. 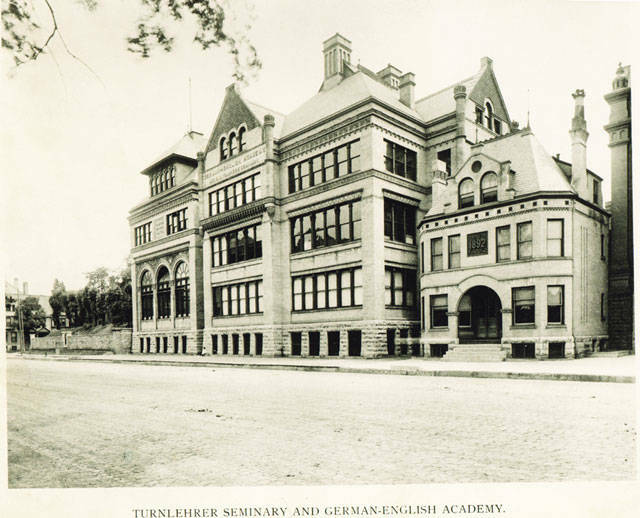 In a city where 86 percent of the population had foreign-born parents, the children of German-born immigrants usually attended parochial schools (either Catholic or Lutheran) in which German was the primary language used in teaching. By extending state regulation to parochial classrooms, the Bennett Law raised concerns about attacks on immigrant cultures under the guise of “Americanization.” Inspired by fears that the law was just a first step in government regulation of immigrant communities, opponents of the Bennett Law mobilized in Milwaukee and around the state. Led by Lutheran ministers and Catholic priests, this unlikely coalition grew to include Irish Catholics when Archbishop Michael Heiss joined the anti-Bennett cause in March 1890. Editorials in newspapers like the Milwaukee Journal, Der Herold, and Germania intensified public hostility to the new regulations. The Bennett Law became the principal issue in both the municipal election of April 1890 and the statewide elections that following November. In the former, the Democratic platform played to the many German, IRISH, and POLISH voters in Milwaukee who had pledged to support only candidates opposed to the Bennett Law. George Wilbur Peck, Democratic candidate for mayor, condemned the paternalism evident in the law and won his election handily, by 16,416 votes to incumbent Thomas H. Brown’s 9,541. Meanwhile, Governor Hoard maintained his defiant support for the Bennett Law through the spring and summer of 1890. Mayor Peck, now the Democratic candidate for Governor, continued to campaign on an anti-Bennett platform. That November, Republicans lost more than half of their previously held Assembly seats; Democrats also gained a nineteen-fourteen majority in the State Senate and every state office up for election that year, including the governorship. As promised by the Democrats, the Bennett Law was repealed almost immediately. New legislation dealing with attendance and truancy made no attempt to dictate the language in classroom instruction. ^ Robert James Ulrich, “The Bennett Law of 1889: Education and Politics in Wisconsin” (Ph.D. diss., University of Wisconsin, 1965), ii-iii, 153-154. ^ Ulrich, “The Bennett Law of 1889,” 156, 166. ^ Ulrich, “The Bennett Law of 1889,” 1-3; Bayrd Still, Milwaukee: The History of a City (Madison: The State Historical Society of Wisconsin, 1948), 260-261. ^ Ulrich, “The Bennett Law of 1889,” 173, 194, 213. ^ Ulrich, “The Bennett Law of 1889,” 231, 257, 260-263. ^ Ulrich, “The Bennett Law of 1889,” 351, 321, 336, 463, 490-491. Ulrich, Robert James. “The Bennett Law of 1889: Education and Politics in Wisconsin.” Ph.D. diss., University of Wisconsin, 1965.